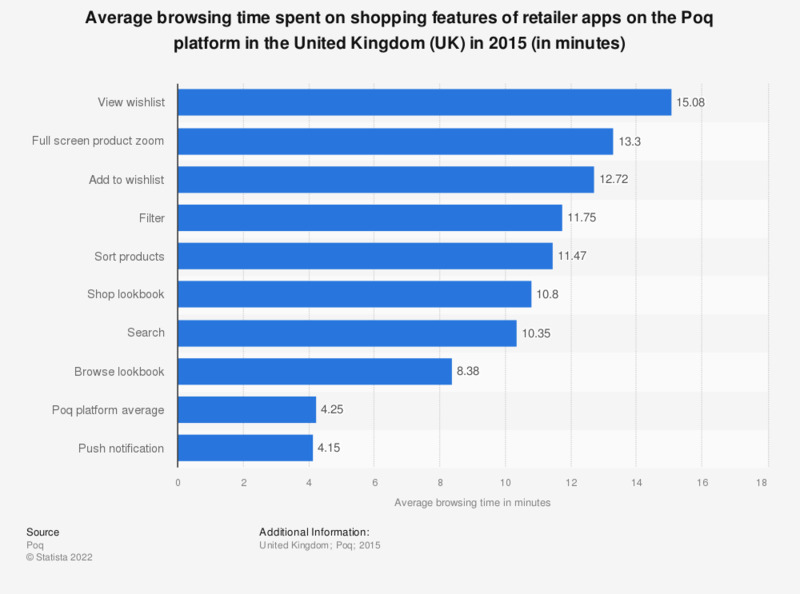 This statistic displays the average browsing time spent on shopping features of retailer apps on the Poq platform in the United Kingdom (UK) in 2015. In 2015, an average 15.08 minutes were spent on viewing wishlists during shopping sessions. "We evaluated the performance of 23 popular app features by analysing a sample of over 790,500 shopping app sessions that took place during 2015." "Represents activity among in-store app feature users on Poq's platform, broader industry metrics may vary."